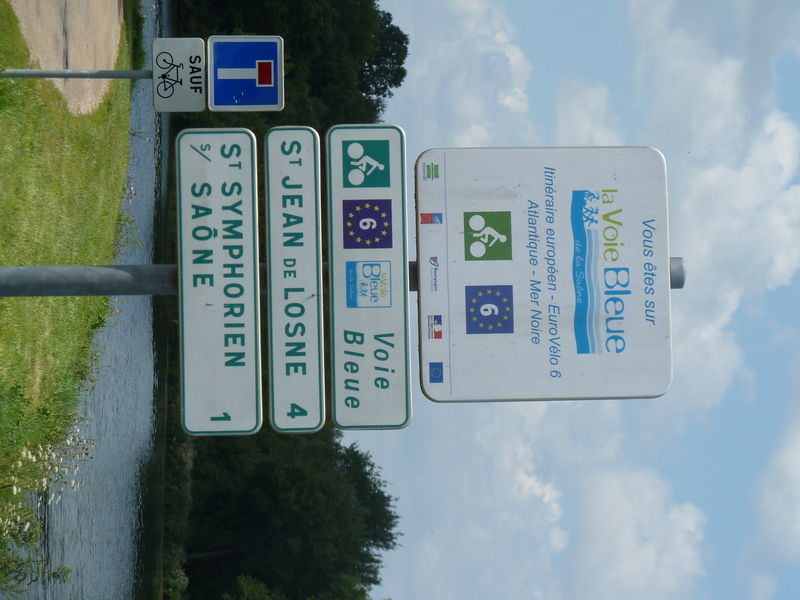 Of the 12 EuroVelo routes that cut across Europe, EuroVelo 6 is the most established and well-marked route. It wasn’t until I was in a map store in Paris that I realized we could take EuroVelo 6 almost the entire way from Beaune to Basel. Technically you could take EuroVelo 6 from the Atlantic coast in France through Switzerland, Turkey, Hungry, and then end on the Romanian coast. In fact, when we were about an hour from Basel we met a couple who were using a few weeks of their summer holiday to tour to Budapest. Spending 5 days and covering almost 400 km on Europe’s most sophisticated international bicycle “highway” was a valuable experience. One of the key benefits of the EuroVelo routes starts in the map store during the planning phase of a trip. If you’re going to do a cycling tour you are concerned about finding roads and trails that are safe, going through scenic places, and being able to access the amenities you’ll need along the way. Once I found the EuroVelo 6 map I knew that a lot of that planning had already been taken care of for me. Once we were on the route we found that the signage was generally good, but it was very easy to lose the route when we were going through cities. These were the signs we were looking for throughout the ride. 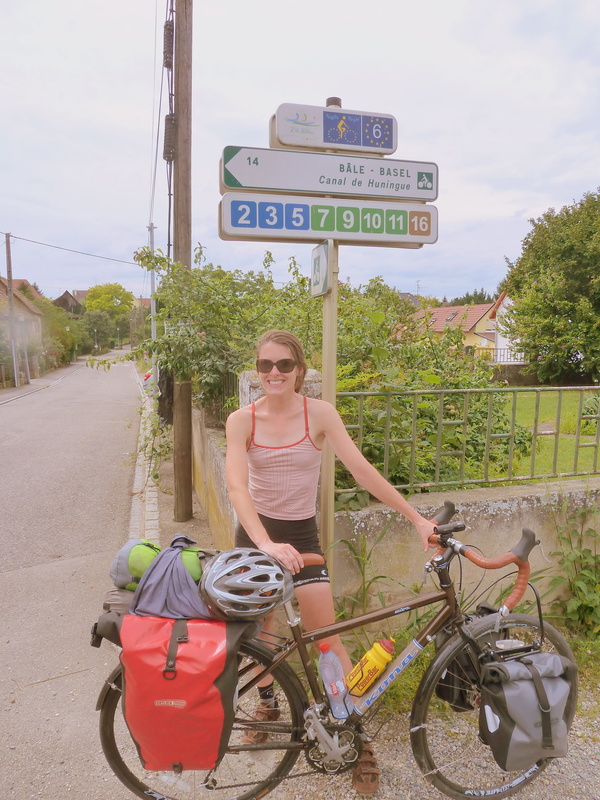 We were usually able to find the route again pretty quickly, but there were a few sections where we just decided to take roads until we got to the next village rather than trying to find the EuroVelo track out of a busy city. When we were on the route it was almost always completely separated from cars and usually along a river. 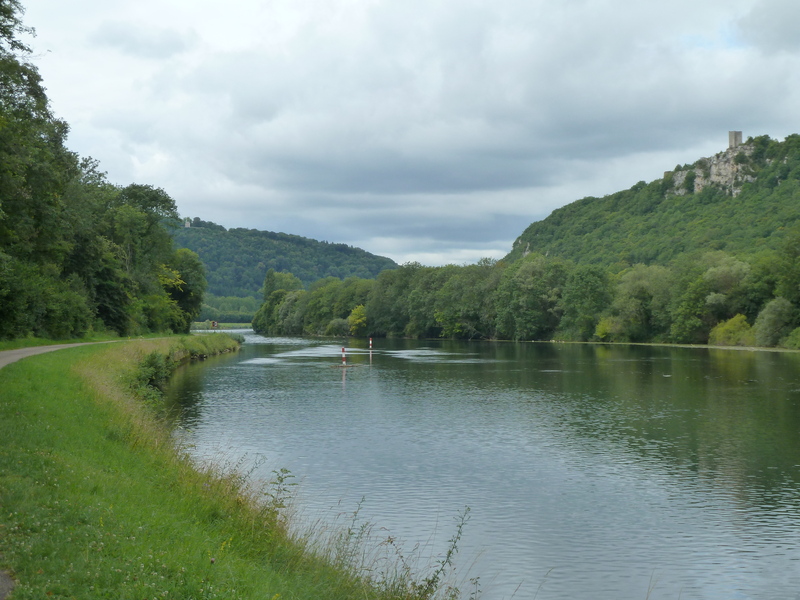 Each EuroVelo route has a theme; the route 6 theme is rivers and we cycled along three—the Saône, the Doubs, and the Rhine. 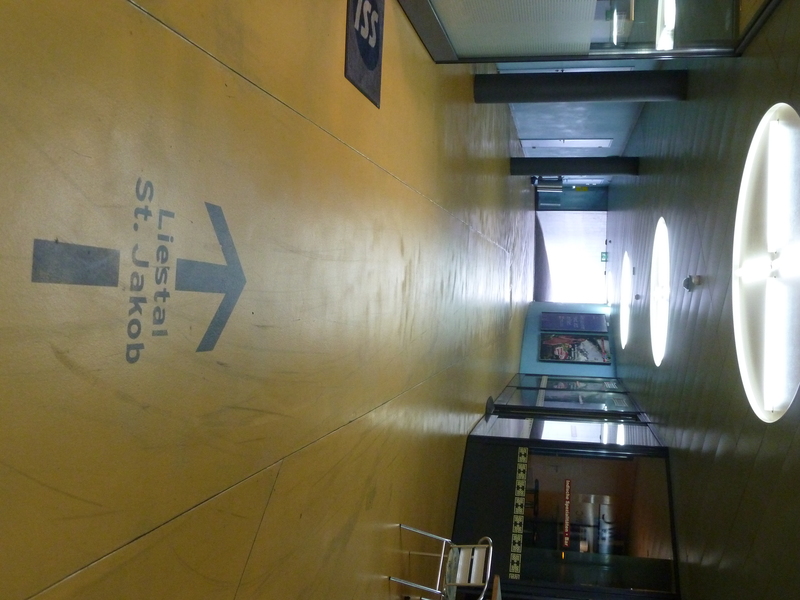 The EuroVelo track along the Doubs River. 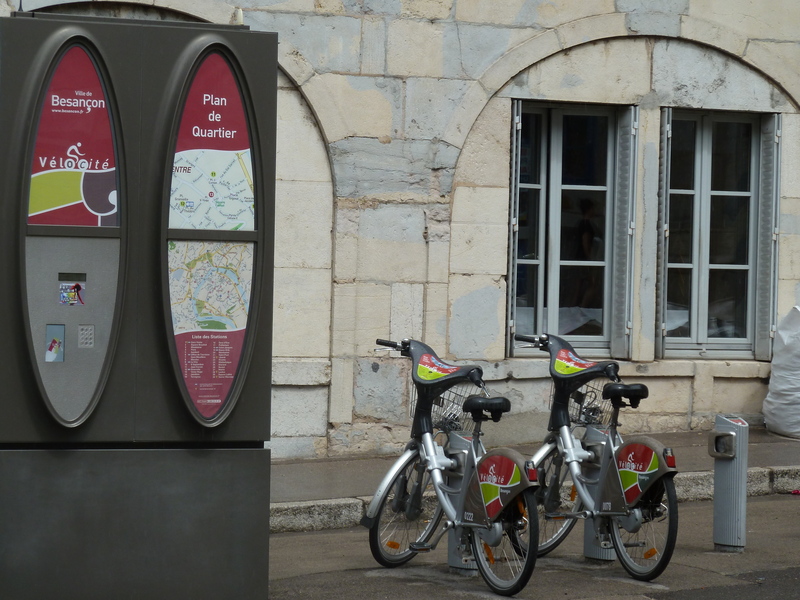 We stopped in a town called Besançon for lunch where there is a JC Decaux bike share program called VéloCité. 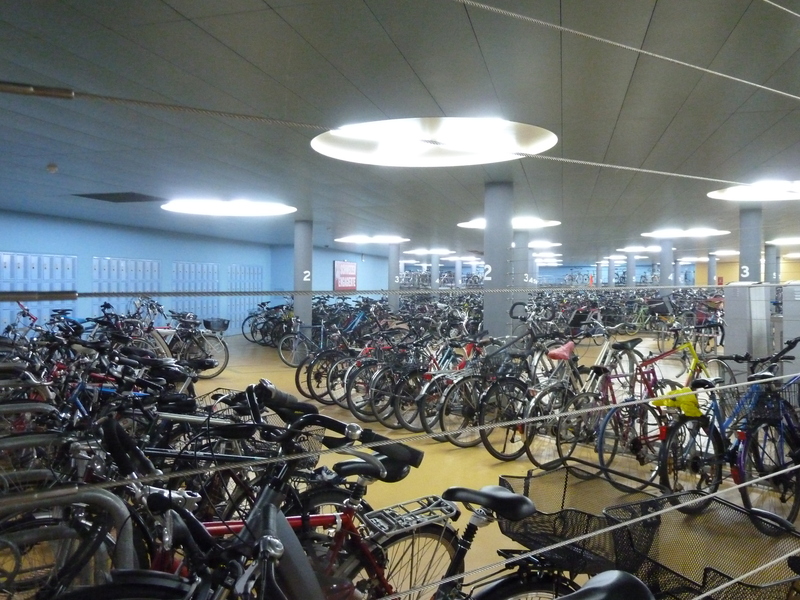 We had a minor glitch in Basel when Harry went to the train station to buy a ticket back to Beaune and was told that the Swiss train company couldn’t reserve spots for bikes on the French trains. 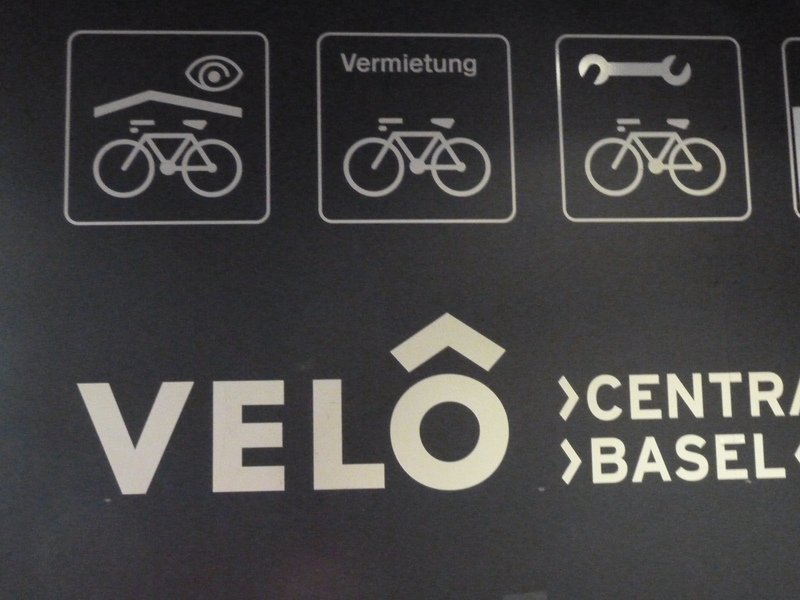 While Harry was dealing with the Swiss train company, I was exploring the basement of the Basel train station which has a great bike storage facility. There is a bike exit that goes directly on to the street. We tried our best to work the system to figure out an efficient way to get him and his rental bike back to Beaune on a train, but after an hour or two of dead ends I started looking into rental cars since he had an early morning flight out of Paris on Tuesday. I ended up spending Monday driving Harry and his bike to Beaune and then returned to Basel with the car. 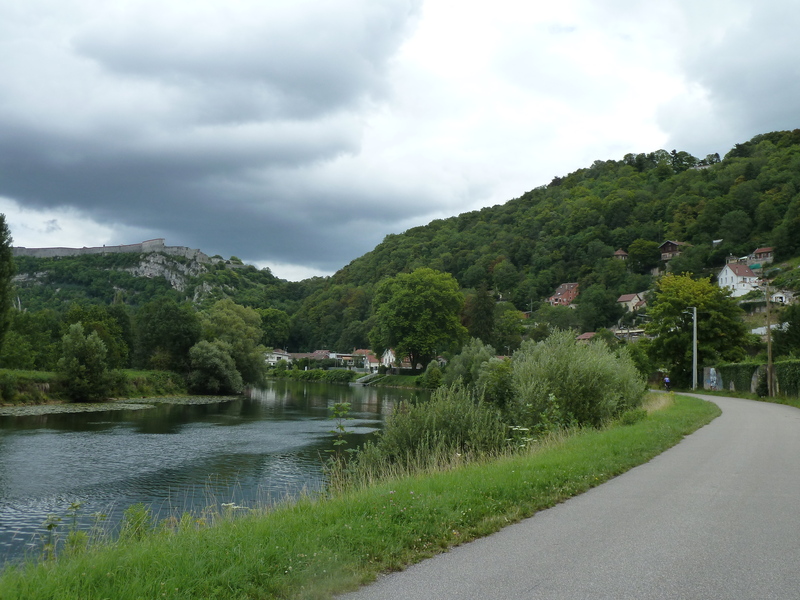 We were both a little sad as we zoomed past the villages we had cycled though and we even caught a few glimpses of the EuroVelo route when the highway crossed over the rivers. We both wanted to be on our bikes in the fresh air—not in the car. There are tolls on the main interstates in France and I paid just over 40 Euros to drive approximately 500 km. Gas is also about 7 Euros a gallon in France. I mention this just to point out, again, that the cost of driving a car is significantly higher in Europe and that the actual users of the highways directly finance a portion of the construction and maintenance costs. Our last day of riding was over a ten hour day; this was the first sign we saw for Basel! 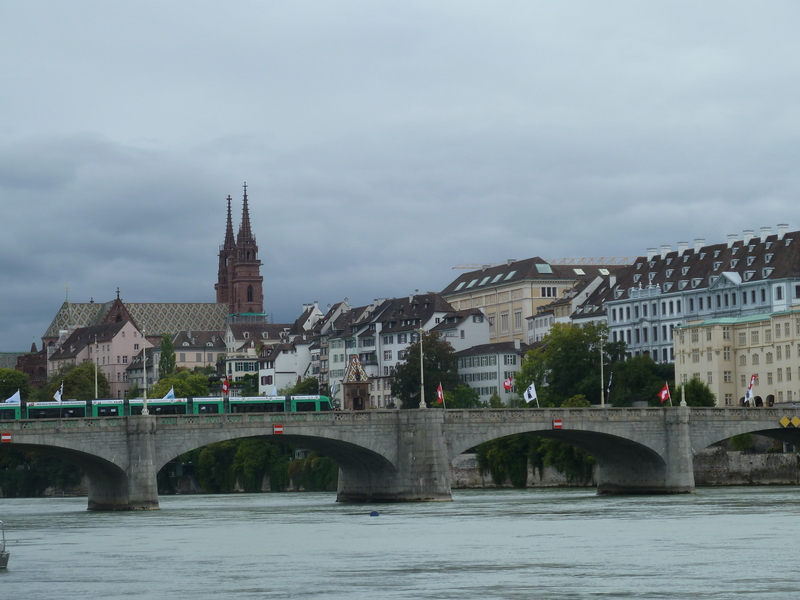 Basel and the Rhine River. I felt a knot forming in my throat when we said goodbye in Beaune. Goodbyes are hard for me–especially when I’m traveling alone. Luckily, as soon as I got in the car Michel Jackson’s “Black or White” started playing on the French radio station I was listening to. I turned it up as loud as I could and it was just what I needed to lift my spirits. Harry, fortunately, is way cooler than the dad in the “Black or White” music video. HarrDawg has always held it down on the cool front. Miss you!